Melges 24 Week promises to deliver the very best in champions, showmanship and competition for the only Italian leg of 5 total in the European Melges 24 Sailing Series. This international event is of the highest calibre with over 15 nations taking part. 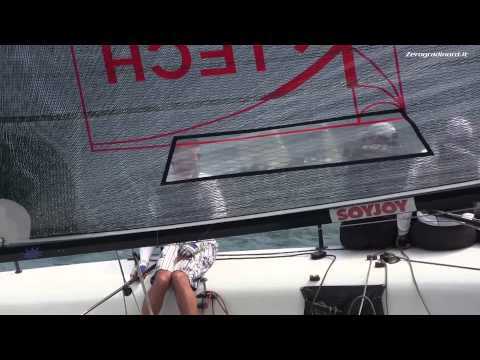 The Audi tron European Sailing Series Melges 24 has shown to be a very engaging racing. The all-around event is making everyone enjoy deep emotions and lots of dramatic moments with pretty tricky and changeable weather conditions; very close racing between the two leading teams such us Franco Rossini' s Blu Moon (10-3) and Audi Italia Sailing Team's Audi tron (6-2).